There’s something to be said for quiet songs. Earnestly written and simply recorded, they can often be a considerable challenge for a songwriter. Sometimes it’s a little easier to hide behind a wall of fuzzy guitars or a pulsing rhythm. Quiet songs have a stronger gravitational pull. Each note weighs a little heavier, and every word hits harder. There’s nowhere to hide, and the listener is permitted to connect directly with the songwriter with little to stand in the way. Will Henriksen has a special knack for making quiet music. Bostonians may recognize his name from the many projects (Harmoos, Tiffany’s House, Blau Blau) he was involved in. He has since been releasing music under his own name. Last year’s Blue House was a short collection of soulfully sweet songs, accompanied by drums and cello. Henriksen recently moved to Philadelphia, and is now releasing the first music he has recorded there. Blank Space (out June 11th) contains some of his most stripped-down and beautiful recordings yet. Recorded with what sounds like a four-track, there is a gentle warmth that permeates throughout the record. You can almost hear the air of the room as he plays, vibrating softly with his guitar’s strings. 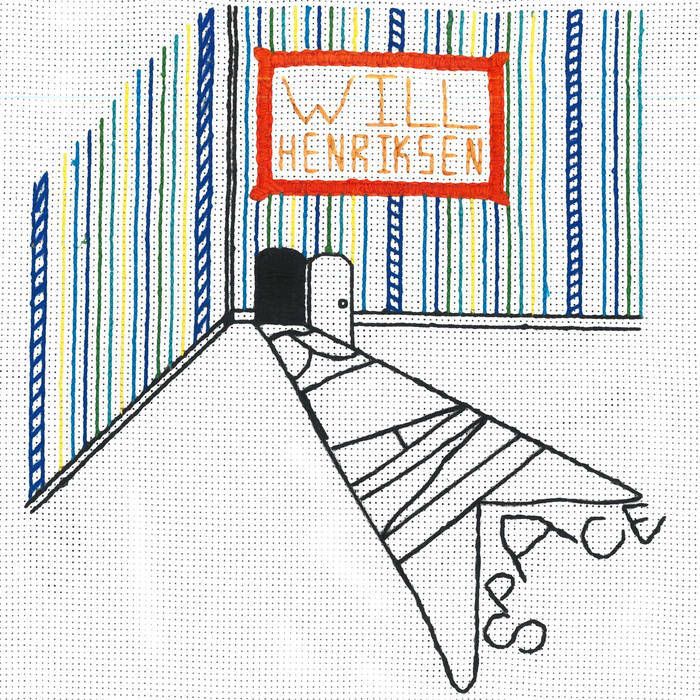 Henriksen manages to make the space between the notes just as magical as the music itself. Flourishes of clean electric guitar and synths add beautiful contrasts in texture while still giving the music space to breathe. The lyrics and intimately-recorded vocals are some of his most affecting to date. The songs cover themes of family, old friends, death and rebirth; and Henriksen sings with a certain plainstated beauty that adds incredible resonance to his words. It’s hard not to be struck by the genuine longing and earnestness that this record glows with.